You’re not alone if you can’t wait for spring break to start! It’s the best time of year to let your hair down with friends before the stresses of finals kick in. Each popular destination has something different to offer — so which is the destination for you and your friends? To help you decide on the location of the year, we’ve compared U.S. News’ top destinations to different personalities. 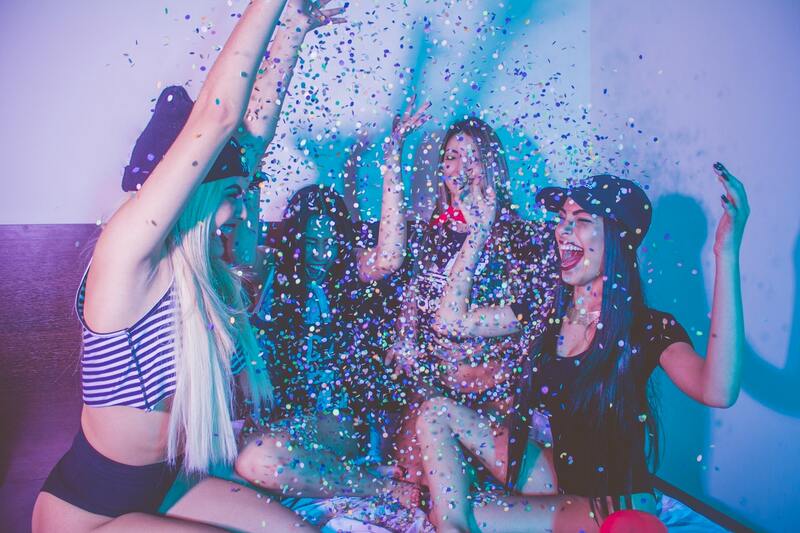 You’re bound to have one friend who never wants the party to end. She’s the one who’s still lining up shots for people as they try to walk out the door and tries to get everybody dancing even if they’re falling asleep. Of course, there’s only one destination for this party girl and it’s Cancun. This is the perfect destination and host to one of the most iconic clubs — Coco Bongo! Then there’s The City, nine bars spread over three floors and host to more than five thousand people at times. This is where top international DJs have been known to perform, including the likes of Tiësto and Paul Van Dyk! What are you waiting for? Make no mistake that inside the clubs can get warm so you won’t need many layers! Most of the clubs state that their dress code is casual or “club attire” so whatever you feel comfortable in is what only matters. As well as a party friend, we all know someone who would rather be tucked up in bed. This friend is too laid-back for a night of partying, she’d rather sleep until the early afternoon and is always the furthest away from any drama. The location for this co-ed is Punta Cana. This destination is more of a chilled zone. Instead, go all-inclusive and you’ll struggle to find a reason to even leave the resort! Fancy doing some light exercise? Head to Bávaro or Cap Cana for a spot of golfing. The best thing to do here is catch some rays so make sure you pack your bikini. Grab a good book and beach towel and you’re good to go. This girl is all about the glamour! Do you know a girl who loves spending money on luxurious dinner and party dresses? She’s not afraid to overspend and probably has a make-up box worth more than her flight tickets to this destination! It’s no surprise that she’d fit right in at the idyllic Bahamas. Get the ultimate Insta pic at the Leon Levy Native Plant Preserve or Lucayan National Park! There are some casinos to check out so definitely bring at least one fancy outfit. Don’t forget to bring a full purse because you’ll be spoilt for choice at the duty-free shops. Whether she’s trying out the latest Kardashian fad diet or LA fitness craze, she loves nothing more than showing off her abs in a bikini. Girls like this should get their flights booked to Cabo San Lucas. Enjoy golden sands and turquoise waters when you arrive at this destination. While you’re here, discover the well-known rock formation The Arch of Cabo San Lucas or keep your fitness levels up with a hike up Mount Solmar. Dig out your favourite bikinis, hiking boots and snorkelling gear to make the most of a holiday at Cabo San Lucas. We all like to be charitable and help others out now and then, but this girl always goes the extra mile. From extra-curricular charity events to fundraising for local causes, her mind is always on making a difference. These thoughtful souls should head over to Puerto Rico for spring break. This destination is all about live music, exhilarating nightlife and chilling out — make no mistake that Puerto Rico has it all. You can also take the opportunity to get involved with the hurricane relief efforts and help out the locals. Pack suitable footwear and comfortable T-shirts for days of exploring and soaking up the culture. If you want to head out for food, this is the girl you would call for recommendations. A holiday is incomplete if it doesn’t include amazing food, so Jamaica is the ultimate spot! From the island’s famous jerk chicken to the classic Jamaican patty, you’re never far from delicious food in Jamaica. Combine this with the idyllic beaches and relaxed reggae vibes and you’ll have a spring break you won’t forget! Bring outfits that are easy to walk around in as you’ll want to explore when you arrive. Which place will you choose to visit this spring?